- Solid pattern design with increased block stiffness gives you enhanced traction and breaking with improved vehicle stability and driver comfort. 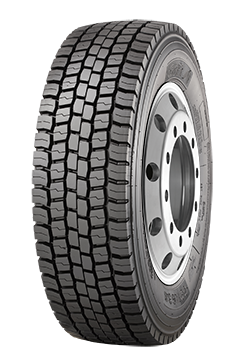 - Optimized casing and footprint design gives you even, consistent wear throughout tire life. -Specialized tread compound helps minimizes irregular wear with improved mileage performance. - New improved bead construction gives you increased uniformity for easier and more efficient rim mounting.